New and used Woodworking Machinery ? WW Thayer Company offers a huge online selection with detailed descriptions and photographs; machines like CNC Routers, Moulders, Wide Belt Sanders, Edgebanders, Sliding Table Saws and many, many others. Please check the New and Used Woodworking Machinery and Equipment brands we have to offer or look at the types of woodworking machines we have to offer on the left side of this page. Also be sure to check out the featured woodworking machines in the table below. Huge Online Selection, Great Prices!!! WW Thayer Company buys, sells, trades and consigns used Woodworking Machinery; we can help with the sale of one machine or an entire plant liquidation. In addition we deal in the repossession and remarketing of used woodworking machinery and equipment. Many of the used woodworking machines listed on our site are bank owned repossessions from banks, lease companies and other financial institutions. Many of the woodworking machines WW Thayer Company offers can be used to machine aluminum, non-ferrous metals, plastics and composites. Please check out the Aluminum Saws to saw aluminum, Chop Saws, Precision Cut off Saws, and Miter Saws along with various saw measuring systems from Glidestop and Razorgage. In addition please check out the Wide Belt Sanders, Panel Saws and Dust Collectors as these are effective woodworking machines to process other materials. While CNC Routers are great for wood; the accuracy and repeatability make them a great machine for other materials like aluminum, composites, plastics and non-ferrous metals. Please look at the CNC Routers and CNC Router Tooling we have to offer at our new site CNCRouterCentral.com. 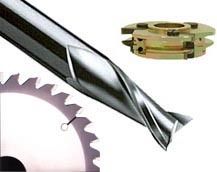 We are offering a huge selection of new and used CNC Routers, Onsrud Spiral Router Bits, Becker Vacuum Pumps, Techniks Toolholders and Aggregate heads for Woodworking and other industries. Please call and speak to one of our knowledgeable and friendly salespeople today, we can help you the selection for new and used woodworking machinery and equipment. Lease Financing – No large cash outlays, pay for the machine as it saves you money.